Here is something you should know: my bookshelves are brimful with the very old and the very odd. I bring them home by ones and twos. I bring them home by the bag. I bring them home from library sales and thrift stores. I find them in junk shops and antique emporiums. When I wake early on a Saturday morning to scour the deals at a children’s consignment fundraiser, I always rush past the piles of shoes and battery-operated toys to find, there are the back of the gymnasium, the table of cast-off books. I am lucky enough to live nowhere near a big-box bookstore but in the neighborhood of 4 or 5 well-stocked used bookstores. 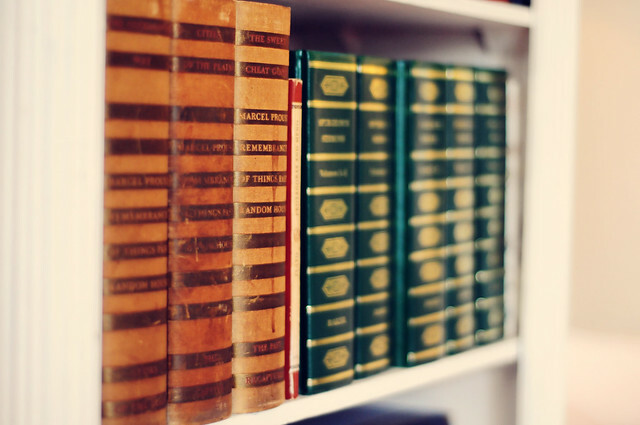 This is a post in praise of second-hand books. I like buying used books because I prefer buried treasure to the latest thing. I like drifting in the past more than jumping on the bandwagon. If books are windows, I prefer they open on a view I simply cannot find in yesterday’s blog post or this morning’s op-ed. I also like a good deal. I recently found the DK book of Forgotten Arts and Crafts by John Seymour at a local second-hand bookstore. I paid seven dollars. Seven dollars for a big coffee-table of a book. A book heavy enough to press maple leaves to perfect, dried crispness. Everything we once knew but have forgotten. This is the book to tell you how your ancestors … thatched a roof, built a canoe, made their tea, washed their clothes. [Big breath here.] Also, how they made nets, and brooms, and coffee. Not to mention, how they built a rock wall, where they stored the dishes, how they mopped the floors, how they blacked a stove. Would you like to learn about peat cutting, blacksmithing, or chair-making? I could go on. And on, and on, and on. The many full-color illustrations, ink drawings, and photographs in this encyclopedia of forgotten skills make it a great choice for curious children (and their parents). I especially enjoy Seymour’s personal memories and commentary. He is no impartial recorder of forgotten lore. He remembers, he cares, and he believes that this modern world, a world in which very few people know how to make anything with their hands, is not sustainable. I found this next book at a local store with a good selection of books about the history and culture of “Plain” communities like those of the Amish and Mennonites. But Sue Bender’s Plain and Simple: A Woman’s Journey to the Amish is no straightforward history or tourist’s introduction. Bender is an artist. Hers is an artist’s meditation on living the good life. Is it possible, she wonders, to live the beauty and simplicity she sees in an Amish quilt? Or, must our modern, busy way of life only ever resemble a crazy-quilt? Bender’s first encounter with traditional Amish quilt-making in the 1960s led her to the previously unthinkable. This wife, mother, and artist, a woman who had always despised all things domestic, spent months living with two different Amish families. The result is this beautiful, little book. It is quiet, reflective, scattered with white space and ink drawings. It is a book of good questions and wisdom worth pondering. My favorite section of any used bookstore is usually called “Local Interest,” or some variation on that. This is where you’ll find the odd little books that would never be given a shelf in a big chain store. They are books rooted in a particular place. Which means I am not exactly recommending this last book. I doubt it would interest many outside my own Chester County, Pennsylvania. Instead, I mention it for inspiration. This is the kind of odd-ball treasure you will only ever discover through a devotion to the dusty corners where old books lie in wait. The book is Fine Food, Wine, and Pickled Pine: The Story of Coventry Forge Inn by Ann Kilborn Cole. I found it at a local used bookstore housed in a converted eighteenth-century barn. All I can say is of course this book would be found living in a converted eighteenth-century barn. This is one woman’s memoir of working, with her sons, to turn their colonial-era Pennsylvania home into a fine-dining restaurant. Written in the 1950s, this is a quirky, eye-opening, unintentionally humorous book about one family’s dream and the good food that fueled it. Did I mention there are recipes? I can’t imagine I’ll ever try one, but I spent a happy hour perusing the sample menus and imagining all those mad-men era businessmen and housewives enjoying a special Saturday night out. My very favorite moment came after several breathless paragraphs in which Cole describes a newly invented oven with the potential to transform the high-end restaurant kitchen. I’d never heard the name she used, but it slowly dawned on me that the modern marvel she was describing was most likely … the microwave oven. And that, my friends, is why I love it. So, why don’t we finish this post with a quotation from yours truly? A breath of fresh air in a world where the latest is trumpeted but the quiet wisdom of the past is forgotten. Thank you, Summer. I know I have a like-minded friend in you where old books and traditions and histories are concerned. I LOVE these book posts from you!! Thanks, sweet friend! I’m so glad, Kris! They are such fun to write. Oh, those oddball treasures, waiting for the right bibliophile to find them and take them home. Should Oddball Treasures be given bookstore section status? I found one at the last library sale, in the category I think of as Felicitous Misshelvings. It was in the Religion section, with a hint of faithiness in the title: “A Reverence for Wood.” It’s part early American history, partly about forests, partly about tree species, partly about things we make out of them, partly fictional stories imagining those early Americans, and throughout, full of author Eric Sloane’s delightful old pen and ink drawings. I’m nuts about illustrated books for grownups. I paid fifty cents for it. Pen and ink drawings get me every time, Laura. Every Time. I am totally obsessed with the Amish. I’ve even dreamed that I went to live with an Amish family and had detailed conversations about how they live and how they make decisions. I’m thinking you need to visit, Danielle. I’d take you to all my favorite Amish hangouts.